If you're looking for a brand new Toyota in Chicago, IL, Toyota on Western is your spot! We stock a large selection of new and used Toyota cars, trucks and SUVs at great prices. If you need assistance with choosing a new car, obtaining financing, or have Toyota service and repair questions, our friendly and knowledgeable staff will get your questions answered. Our car dealership proudly serves the Chicago area with Toyota cars, trucks and SUVs. At Toyota on Western you will find your favorite new 2018-2019 Toyota models in Chicago at competitive prices. New Toyota models we have are: Land Cruiser, 86, 4Runner, C-HR, Avalon, Camry, Corolla, Highlander, Prius, Tacoma, Tundra, RAV4, Sienna, Sequoia, and Yaris. Take a test drive at our Chicago Toyota dealership in the new 2017 or 2018 Camry, Corolla, RAV4, Highlander or Prius. The Toyota on Western Sales team are ready to answer your questions about a particular model, and find the right Toyota model that meets your expectations. For a large selection of new Toyota and used cars in the Chicago area, visit our dealership today! If you're not looking to get a new car, perhaps a pre-owned vehicle is more up your alley. Trusted across Chicago for our immaculate assortment and long-term satisfaction, Toyota on Western is always the right turn to take on your quest for the ultimate used car. Toyota Repair, Parts and Financing in Chicago at Toyota on Western. Looking for a car loan in Chicago? Come speak to the experts at Toyota on Western. By working with lenders and understanding your needs, we can create customized loan and Toyota lease programs suited to your situation. Our experts in the finance department will help to get you a car loan that works with your lifestyle. Call us or stop by to speak to a financial representative. 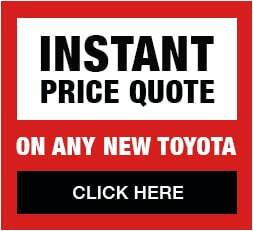 You can get original Toyota car parts, professional Toyota repairs in Chicago and auto body repair from the experts at Toyota on Western. If you're looking for vehicle maintenance, repairs or parts in the Chicago region, visit our dealership for the professional service you deserve. Stop by and see us at 6941 South Western Ave. or give us a ring anytime! We thank you for visiting our Toyota dealership's website. You can find additional information about Toyota on Western on our About Us page. We are conveniently at 6941 South Western Ave., Chicago, Illinois, and we look forward to serving the automotive needs of our friends in the Chicago, Oak Lawn, Orland Park, and Calumet City area!